17. CUT each rectangle into 3 squares, 5 x 5 inches, then diagonally for 6 triangles. 18. LENGTHEN each triangle by rolling it until it is about 8 inches in length and in the process, stretch the triangle so that the two long sides become even in length. 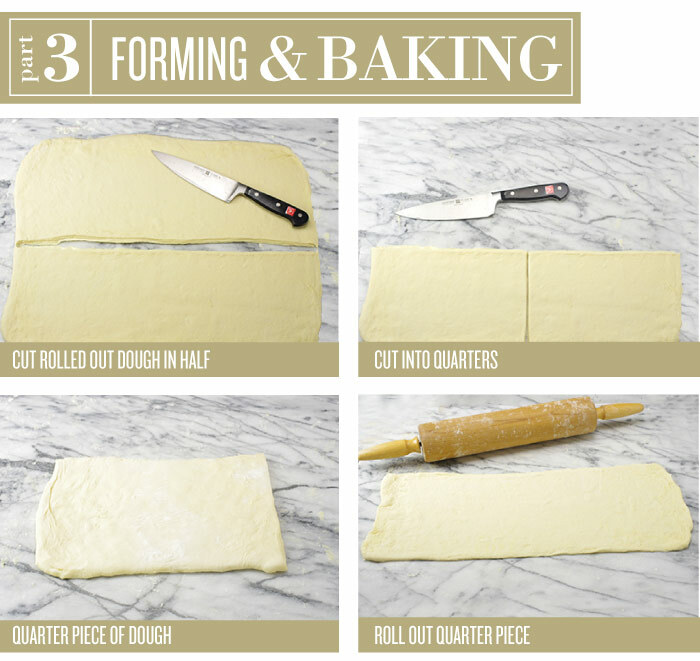 Notch the short, base end of the triangle with a small 1/2-inch cut; this will help the rolled dough bend into a crescent shape. 19. ROLL the triangle, beginning at the wide end. 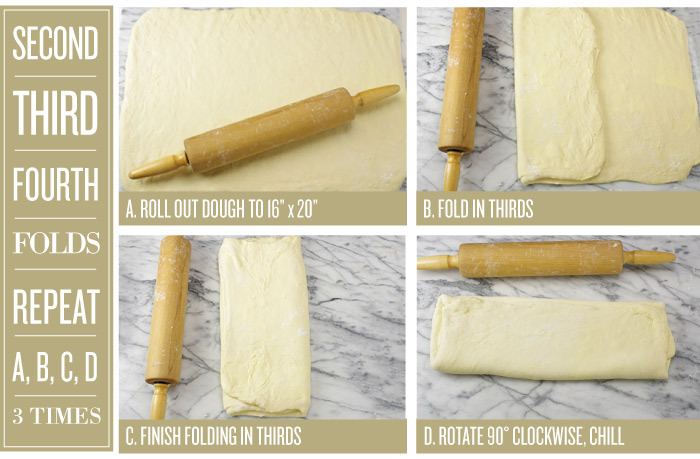 Place the rolled dough on a baking sheet lined with a baking mat or parchment paper with the point of the dough just on the underneath side of the rolled dough. 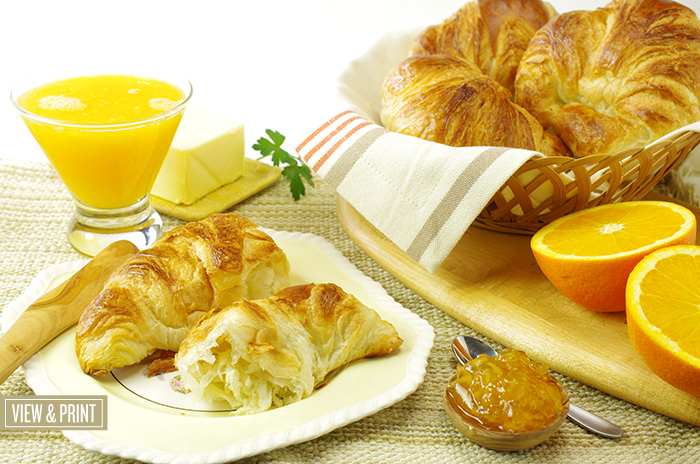 Leave a generous amount of space between croissants; they will expand during rising and baking. 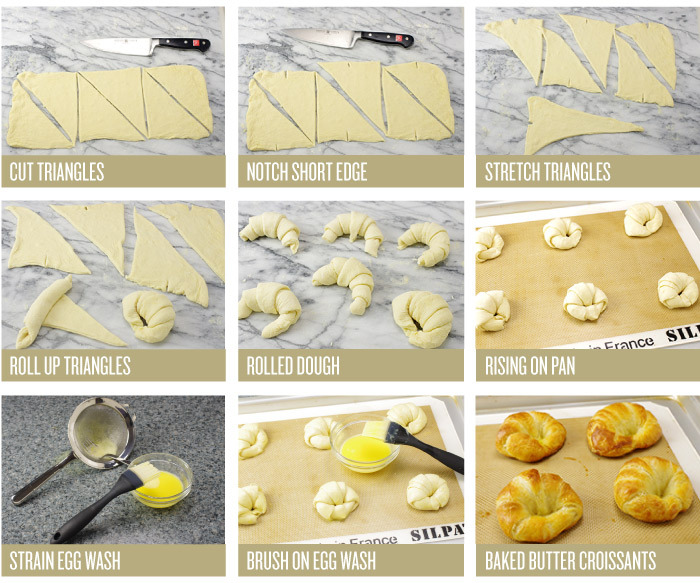 Curve the ends of the dough to form the crescent shape. Lightly pinch the two small tips together. 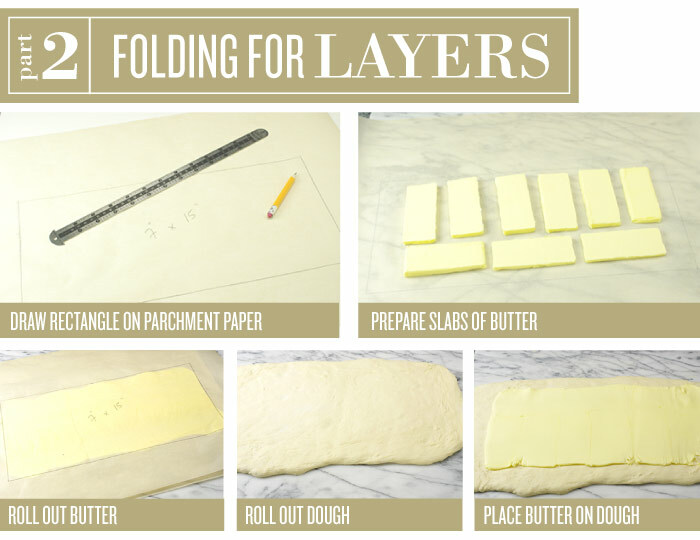 (This will help form the crescent shape, they will most likely not stay together during baking – it's a temporary tactic!) 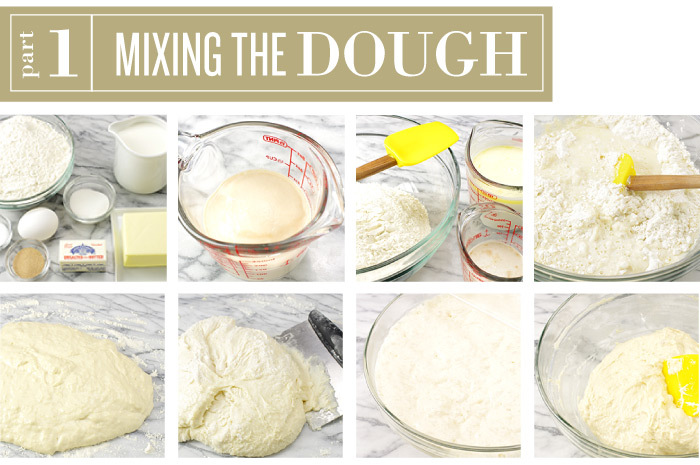 Repeat with the remaining dough using additional baking sheets. (The formed croissants may be frozen at this point and the final rise and baking accomplished later).